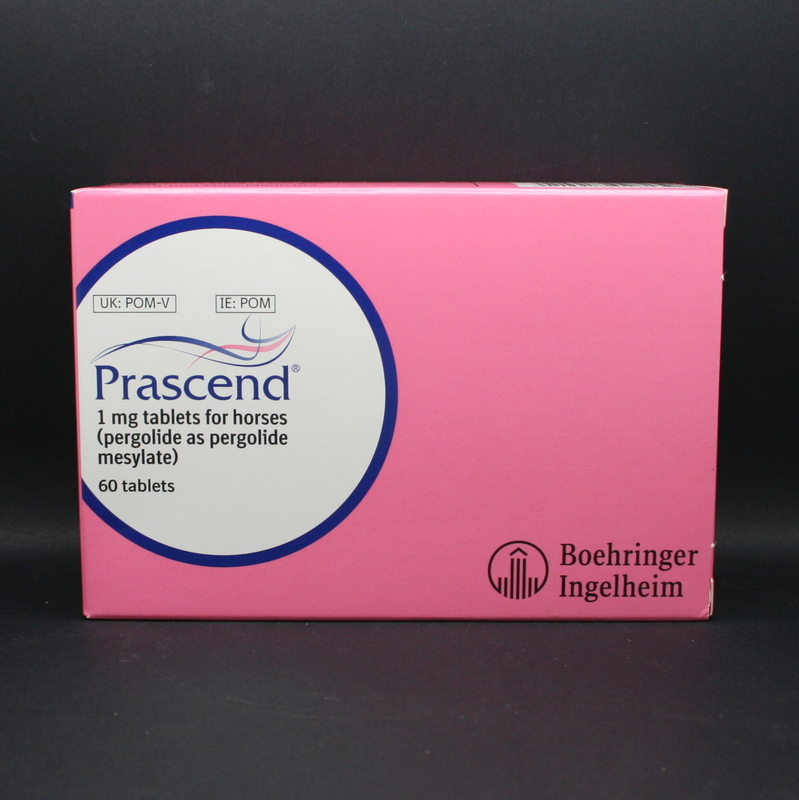 Prascend tablets are the only licensed daily treatment for Cushing's Disease (PPID), a common condition in older horses (10 years +). Signs of Cushing's Disease in horses include a long, curly coat (hirsutism); increased drinking & urinating; depression; muscle wastage (pot belly) & sweating. Horses with Cushing's disease are also much more prone to laminitis (90% of Laminitis cases are due to hormonal imbalances- either Cushing's disease or Equine Metabolic Syndrome). In addition, as their immune systems are suppressed, they are more prone to infections, eg foot abcesses & parasitic infestations (worms). The symptoms of Cushing's Disease are due to overproduction of steroid hormones, because of overactivity of the pituitary gland in the brain. 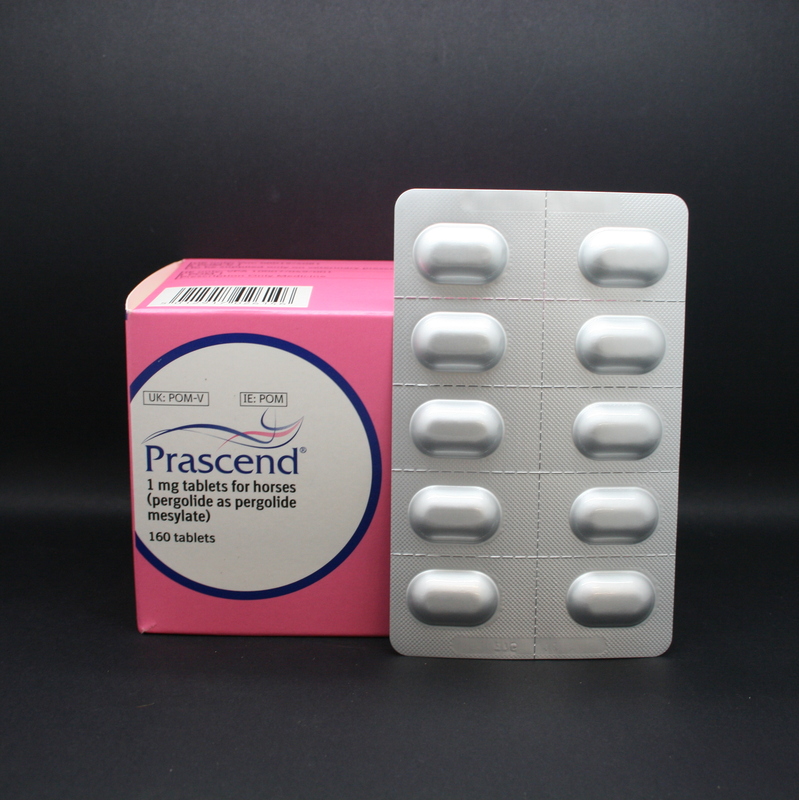 It is not possible to cure the condition, so Prascend is a lifelong treatment for it. Warnings & Contraindications- Do not use in horses with known hypersensitivity to pergolide mesylate or other ergot derivatives. Do not use in horses less than 2 years of age. A diagnosis of Cushing's should be confirmed with appropriate endocrinologic laboratory tests, as well as evaluating clinical signs. Pregnancy & Lactation- Seek advice from your vet for use during pregnancy. 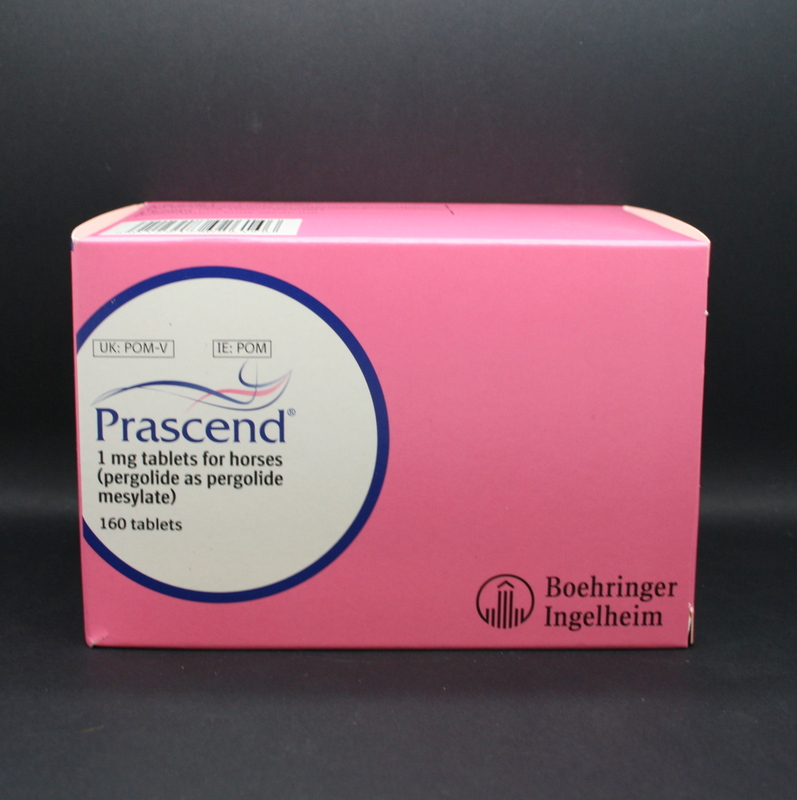 Use during lactation is not recommended.